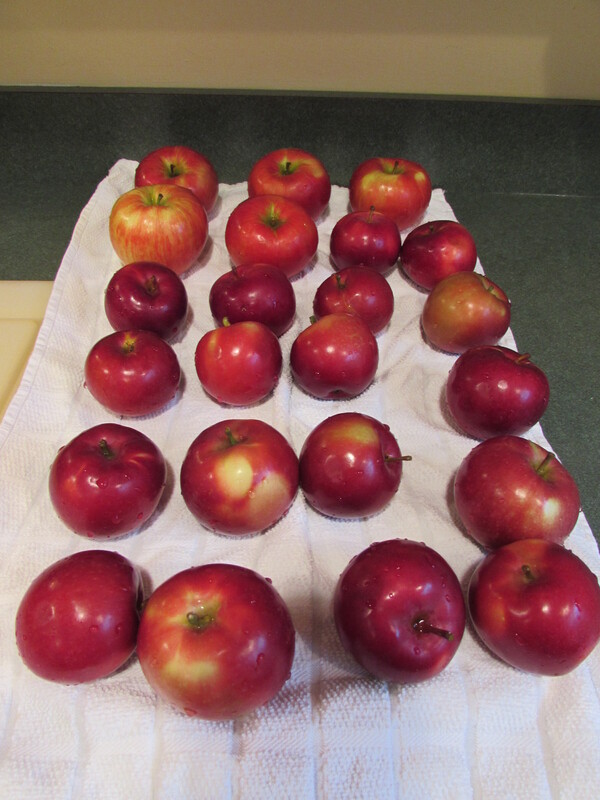 So, it’s Fall and there are a lot of apples around now. 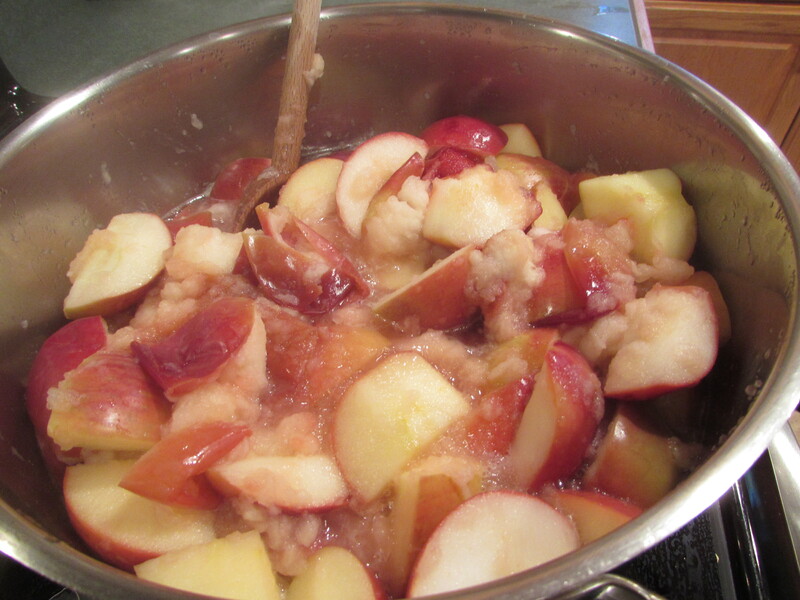 Great time to make apple pies, apple cake, apple muffins and APPLE SAUCE! It’s probably one of the easiest things to make. You can make it as sweet as you want or not sweet at all. It’s all up to you. The only thing you need to make it easier is a food mill. I have an old Foley Food Mill but there are lots of new ones out there to choose from, with different size blades which I would definitely recommend. Like one of these or a stainless steel version like this. 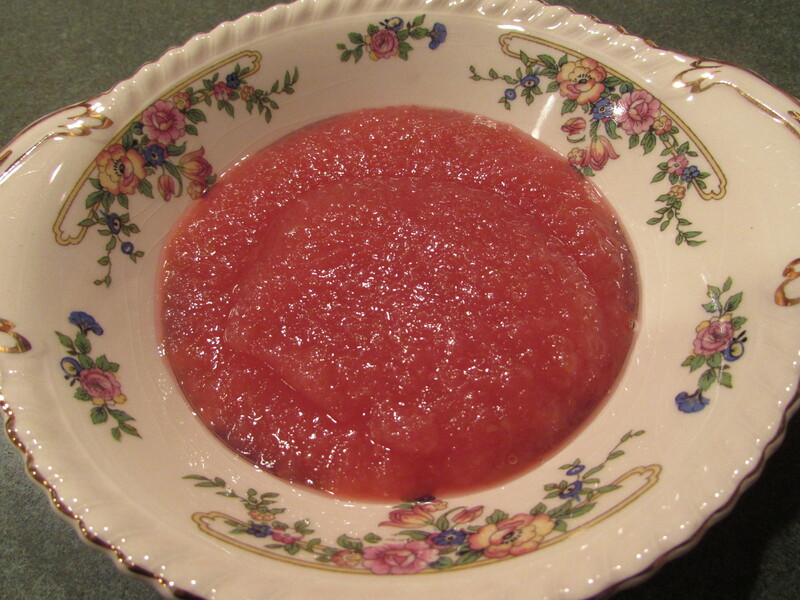 If you would like your applesauce to be pink, make sure you include some McIntosh apples that are deep red. 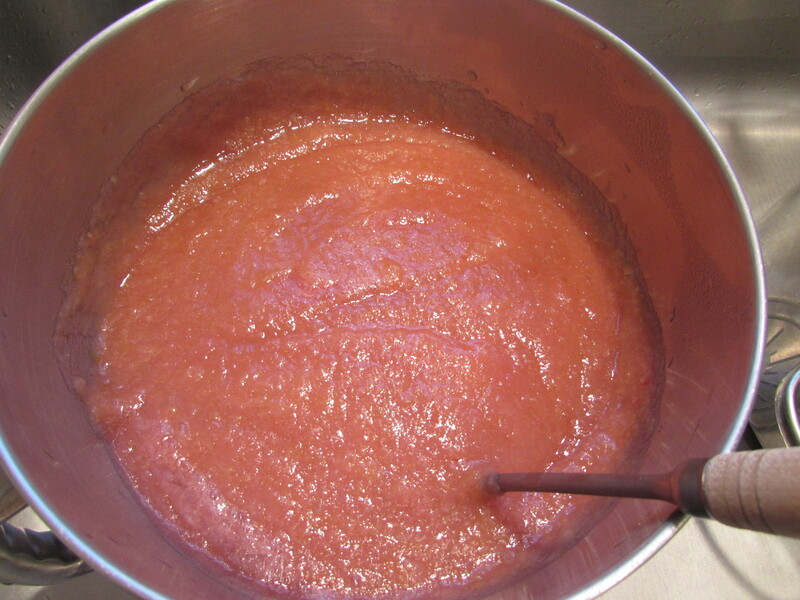 More than likely there will be some red/pink streaks in the flesh and this is what will make your applesauce this beautiful color. 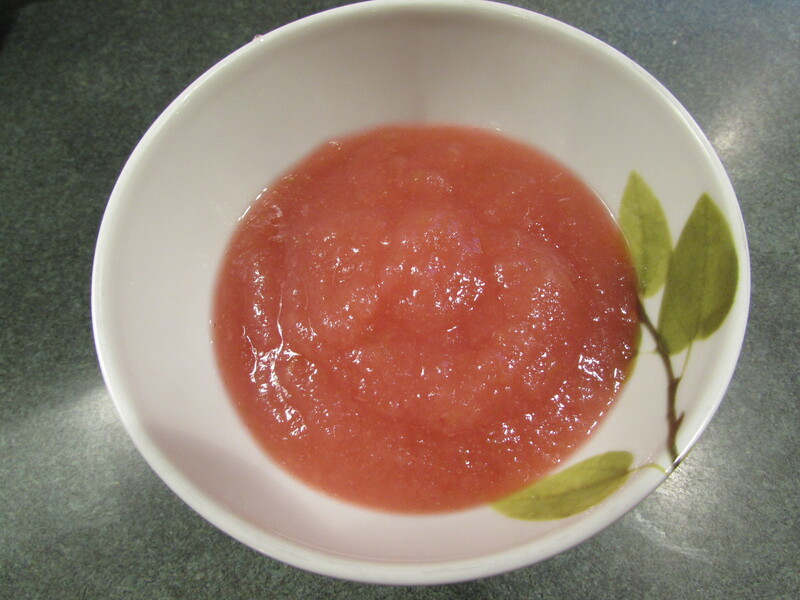 The pictures below will show you that there doesn’t need to be a lot of red/ pink in the apple flesh to make the sauce pink. Anyway, this is a fun project. Easy enough to get your children involved! 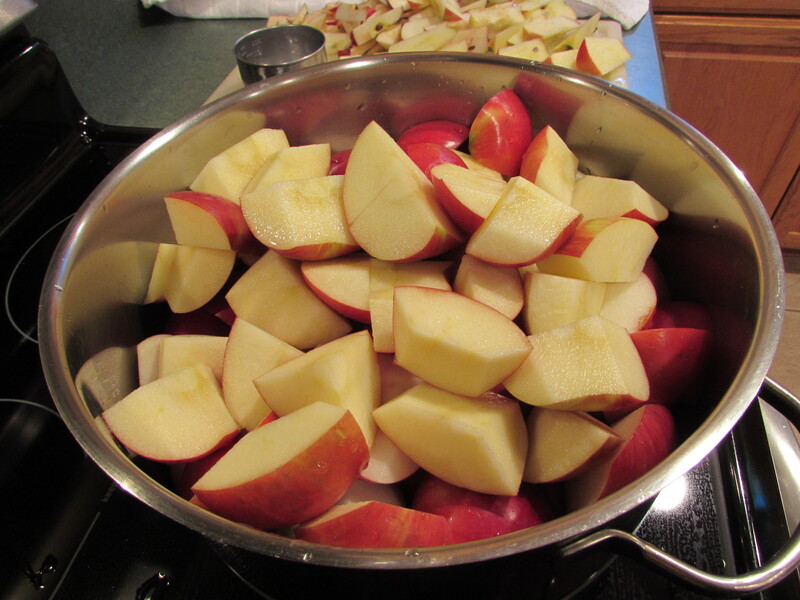 You could go apple picking and then go home and make applesauce! 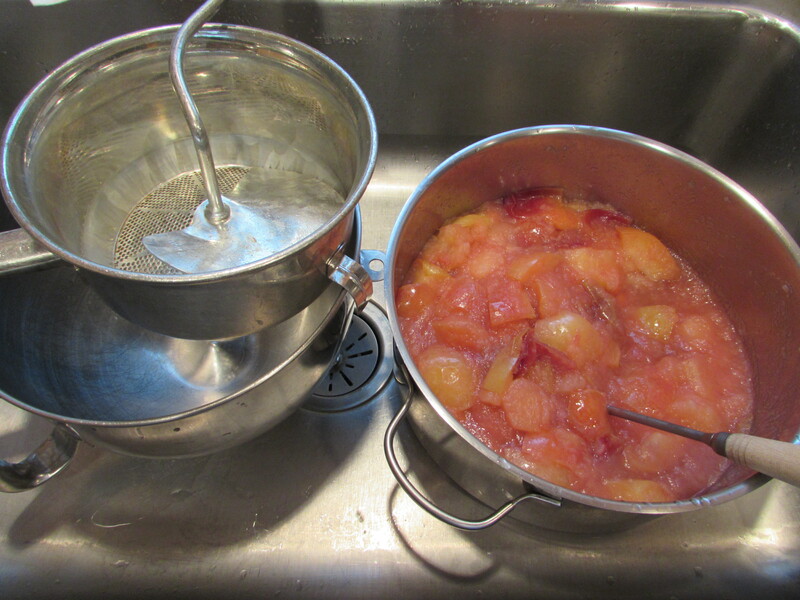 Place cut apples in a large (like 8 quart) sauce pan with about 2 cups of water over medium to medium low heat. 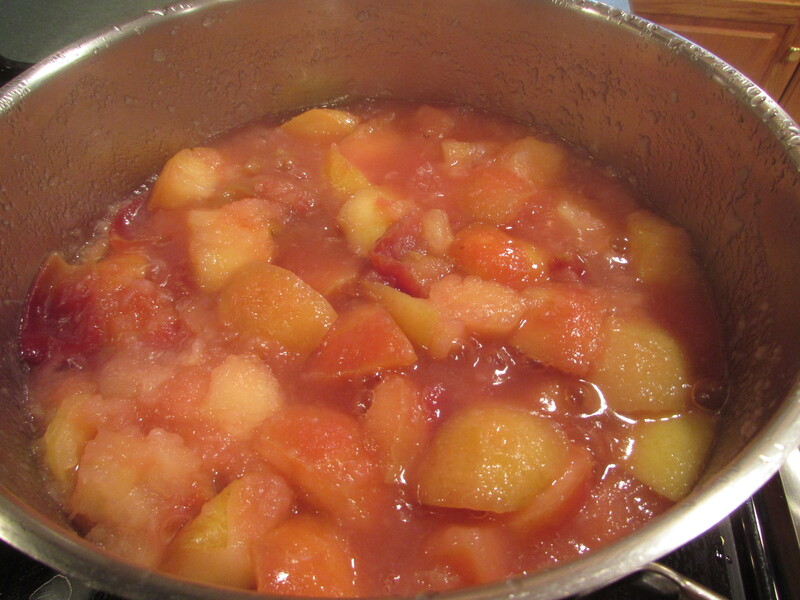 Bring to a simmer and cook for about 30 minutes, stirring occasionally, until apples are soft and tender. Remove from burner and place pot on a heat proof surface. Place your food mill over a deep, large bowl (I use my Kitchen Aid Mixer Bowl for this, it’s perfect) and place it right next to the pot of apples. 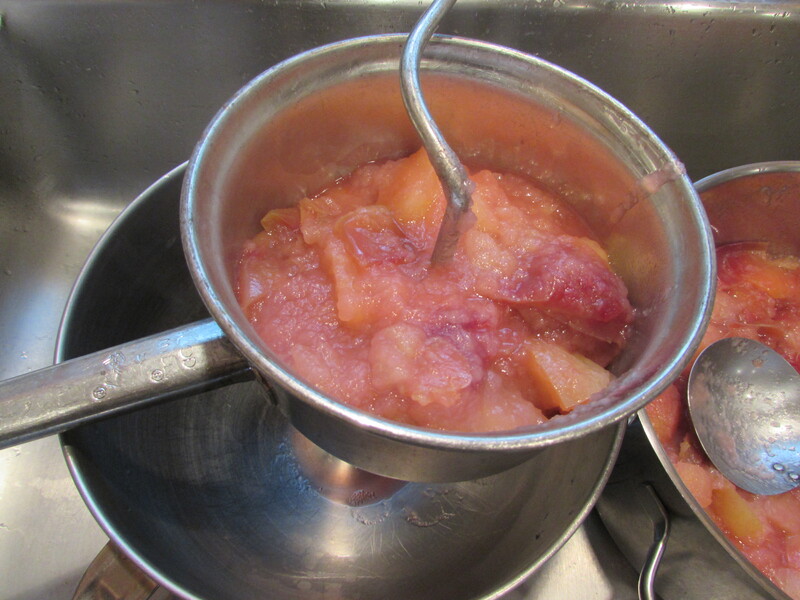 Ladle about 2-3 spoonfuls of the hot apples into the food mill and process. 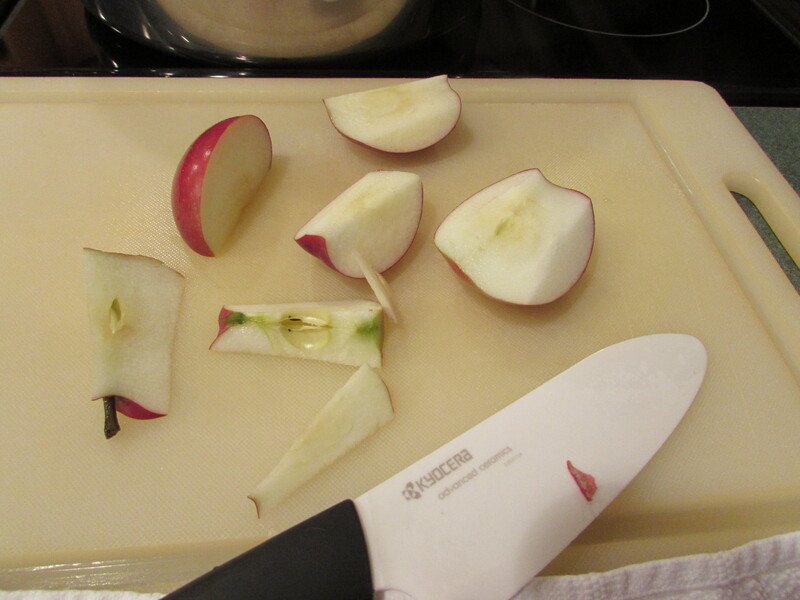 Continue until all the apples are done. 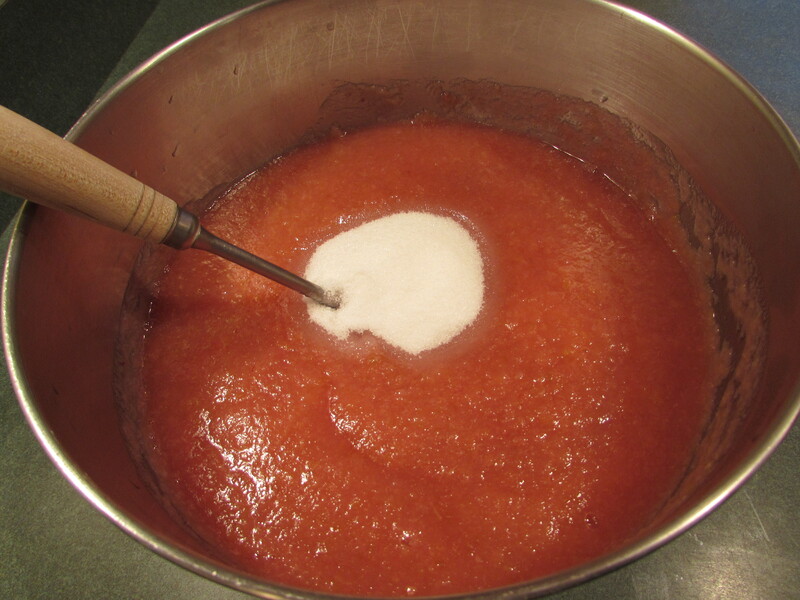 While the sauce is still hot, add sugar to desired sweetness. Cool sauce to room temperature. 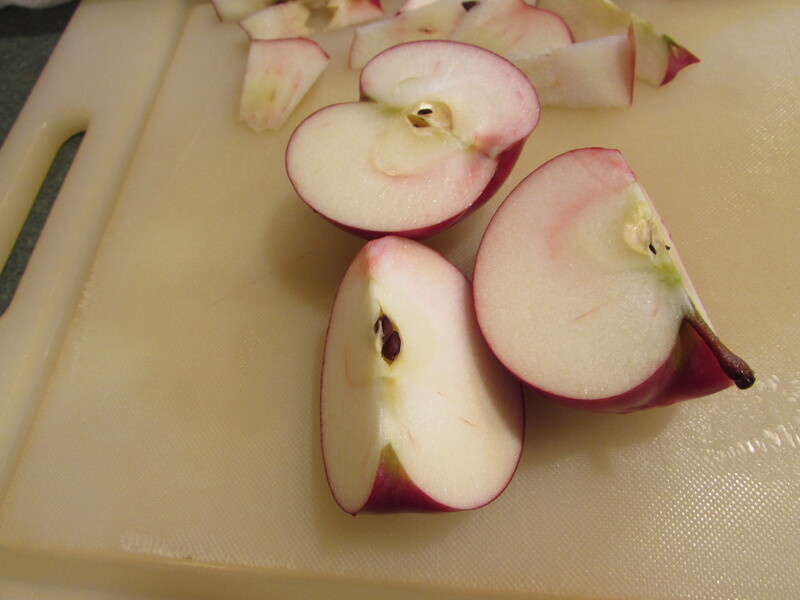 Put applesauce into containers and place in the refrigerator. I like my applesauce icy cold, so I wait until the next day to eat it. Freeze any sauce that you will not be eating in the next 2 days.